We recently visited artists JD Beltran and Scott Minneman at The Workshop Residence about their stunning creation, the Cinema Snowglobe. Take a look at the video above. Our interview with the artists and a look inside the world of snowglobes is coming soon. Wow! Where is the image coming from? Where are the circuitry? 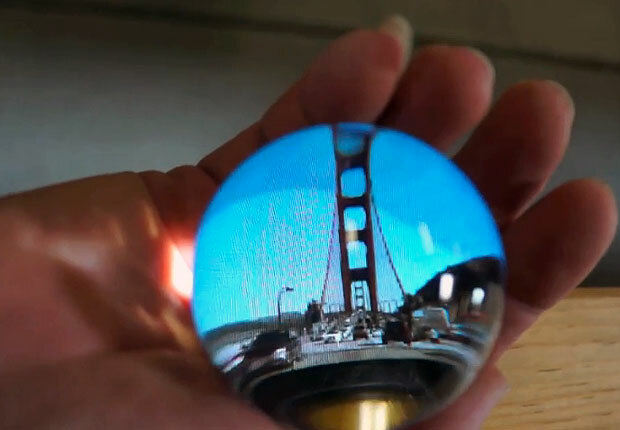 If you can project changing images in a glass sphere without showing any wire and circuit, you are in business. This is a perfect combination of art and electronics.